Productivity Myth #3: ‘Swallow the frog’ and do the hardest task first. The idea here is to get your most difficult task started and out of the way in an attempt to avoid procrastination. However, it’s usually easier said than done. I prefer a little warm up to start my mornings before I break into a sprint. I begin with a few small and easy to complete tasks. The feeling of getting some wins before the caffeine has even kicked in puts me in a positive mind set and gives me the motivation to start those harder tasks. 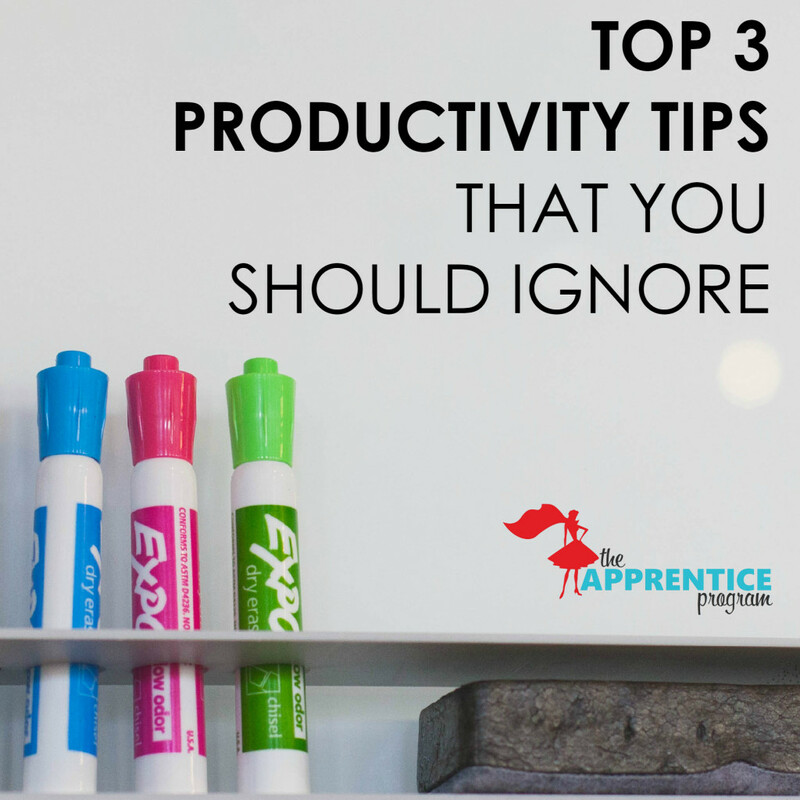 Just don’t spend too much time on the easy tasks if they’re not urgent! I do 20-40 minutes of these activities in the morning and go back to them whenever I feel like I need the boost of motivation that comes from crossing tasks off my to-do list. Lastly, one tip you shouldn’t ignore: Get structured training for your interns! Don’t underestimate the difference that a structured training solution can make, compared to just training your interns on-the-fly. If you want your firm’s productivity to be at its peak, maximize your interns’ full potential and get them to hit the ground running with great training. Currently just $75/intern, you can start the program at any time. So, what do you think? Now we’ve reframed these common tips, which one will you apply to your life next week? Leave us a comment below and let us know what works with your team!